The final game of 2012 is here with an explosion of wonderful features and amazing special effects and graphics, Net Entertainment have really saved the best till last. The features are endless and the ways to win never stop in this video slot based on the four main elements – Earth, air, fire and water. Without these four basic elements we would not be able to live as we do today and they are in full force in this slot from the Avalanche feature to the 4 different types of free falls to play that all come with their own unique wild symbols that tear up the reels and give you so much money that only these basic elements can supply. Elements slot is the Christmas present that all slot enthusiasts have been waiting for all year. So now its here time to get playing and enjoy this massive slot. The setting of this slot is a barren waste land where the only things you see are the four basic elements that combine to make this world what it is. Earth is what we need to live on and to grow food and build our homes with, Air is what we need to breathe and survive, water washes away the dirt and gives life and fire heats us and warms the food we eat. So without even one of these four elements we would not survive in the way we do today. 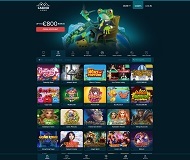 This video slot showcases this with all kinds of storms that will bring with them many huge money prizes plus a whole range of graphics and animations that make this game not just a slot but also tells a story and really brings the players into the theme and atmosphere of the game. Starting the free falls round in Elements is a bit more complex than regular video slots, in order to activate them you will need to complete a couple of exciting tasks first. So this NetEnt slot Elements has a couple of meters the effect the outcome of your free falls round, the first meter to fill would be the avalanche meter this has 4 spaces that will light up when you get 4 winning combinations in a row once all four are lit up you will be able to move on to the free falls mode however since there are four free fall modes to choose from you will also need to fill up the energy meter. The energy meter is a square shape with four separate triangular shapes inside all of which represent one of the 4 elements. The element that has the most energy filled up will be the element represented in the free falls that you will go on to play. Depending on the element that is activated you will start the 10 free falls, the difference with each element free fall is the type of wild storm it creates. Every wild symbol in the free falls has its own unique way of giving you winning combinations. So if you have 10 free falls with the earth storm you would have wild symbols appearing on reels 2, 3 and 4 and these earthy wilds will stick in place until you have at least one or more winning Elements combinations, similar to sticky wilds found in Jack Hammer 1 and 2. The air wild storm will place 2 air wilds on the reels and leave them there for the duration of the free falls, these symbols will move with every avalanche fall onto a space next to them creating more windswept bet lines as they go. The fire storm wilds in the fire free falls of Elements slot are hot wilds that appear on the middle 3 reels and will move two spaces in any direction spreading like a wild fire. They will set any of the symbols they move over on fire and create more wild combos to create bigger wins time after time. The fire wild is similar to the wilds used in Frankenstein slot also by NetEnt. The final Elements storm in free falls mode is the water storm wild this wild symbol turns into an expanding wild and covers all three rows to give three times as many chances at winning lines. There are eight different symbols in Elements all revolving around the four main elements. The four highest paying symbols are the elements creatures such as the fire creature, earth creature, air creature and water creature and the lower four symbols are just pieces of the actual elements themselves. 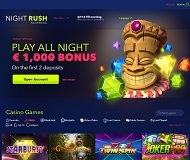 The main attraction in this slot is the graphics and story telling that NetEnt have so obviously taken the time to perfect but the money making feature of the video slot is of course the wild symbols and free falls rounds that will really take the winnings up sky high. With up to 300000 coins to be won in any one spin of these reels this could be the game of the year so get spinning thos Elements slot reels today to be in with a chance of changing your life for good.